Having a “care team” is important to helping a person with a food allergy avoid a reaction. Immediate and extended family members, close friends, your primary care physician and allergist, co-workers and a registered dietitian should all be aware. For children, the care team should expand to include your pediatrician, friends and their parents and school staff, such as teachers, administrators, nurses, food service professionals and administrators. 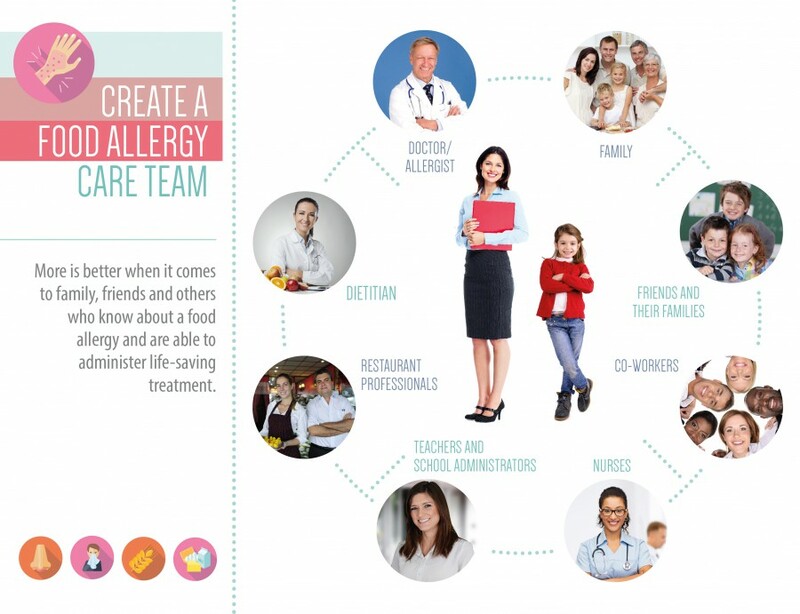 Learn who should be a part of your food allergy care team.